and each piggy brother went out on his own. and the first little pig built right on the spot. out of straws that were bendy, plastic, and neat. would not keep him safe from the hungry wolf's jaws. “I'm going to eat you!” he heard the wolf shout. blew all at once down the side of the road. And as the pig watched he started to wail. He ran to his brother and told him his tale. decided to build his small house out of sticks. “I'm going to eat you!” they heard the wolf shout. all of the sticks crashed right down to the ground. the pigs ran away towards their brother's address. so he mortared his hut out of cheap bric-a-brac. his collectible spoons and small statuettes. His brothers complained, “These trinkets are glass. “Don't worry,” said pig number three with aplomb. and his huffing and puffing just couldn't get through. till he ran out of breath and finally gave up. the piggies were safe in that bric-a-brac house. See, a home can be strong, no matter the weather. The important thing is how you stick it together. 1st place prize: a three-month supply of ice cream. This was the last contest of the school year and Ismar wanted to win! “I’m going to enter the contest,” said Jeremy. Ismar turned around and saw his friend Jeremy holding a flyer, too. “But you always win contests,” said Ismar. Ismar arrived home and headed for the kitchen to see what the cupboard held. He moved items around. Soup, hamburger buns, and green beans. None of those would work with ice cream. Ismar checked the refrigerator. Pickles, eggs, lunch meat, and cheese. None of those would work either. Ismar sank into a chair and sighed. Would he even have a chance against Jeremy? He really wanted to win, but Jeremy would be hard to beat. And he only had two days until the contest. When Ismar woke up Saturday morning, his heart fluttered with excitement. He was determined to find something that would work for the contest. After he had his breakfast, he pulled the vanilla ice cream from the freezer. Then he scooped a little ice cream into four different bowls. First, he squeezed some barbeque sauce into one bowl. “Too tangy,” Ismar said. He picked mustard. “EWW, liquid gross,” Ismar said, wiping the taste off his tongue. Ismar went back to the refrigerator, “What about…salad dressing?” Ismar tried Ranch first. “Too milky.” Then he tried Italian. “Too bitter.” Ismar put the spoon down. “What am I going to do now?” Ismar pondered as he opened the spice cabinet. Then he got an idea. On Sunday evening, Ismar wheeled the cooler up to his booth. He hung his sign made with big bold blue letters and took out his samples. Once set up, he made a quick pass through the gym, looking for Jeremy. One student had pizza-flavored ice cream, one had macaroni and cheese flavor, and another had potato chip flavor. And then, Ismar found Jeremy’s booth. The sign read: Colored Ice Cream. “Good luck,” Jeremy said to Ismar. Ismar returned to his booth. Now he had to wait for the judges. Would he win over Jeremy? The judges entered and tasted the assortment of flavors. “We have our winner,” the judges finally called. Clapping erupted in the gym. Ismar frowned. He looked over to Jeremy who was frowning, too. Ismar ran up to Jeremy’s booth. "Do you want to try my ice cream?” asked Jeremy. Ismar spooned ice cream for his friend. “This tastes great," said Jeremy. Jeremy ate three bowlfuls of Ismar’s ice cream! "If I was a judge," said Jeremy, "I would have given you ice cream first place." Many animals have tails. Their tails may be long, short, thick, thin, scaly, hairy or hairless. However no matter what the tail looks like it probably has one or more uses. Giant anteaters, arctic foxes and squirrels use their long thick bushy tails as blankets. Would the tails of horses, cows, elephants, giraffes and lions make good blankets, too? No, they are way too thin. But their furry ends do make terrific bug swatters. Tree squirrels use their bushy tails not just as blankets, but as umbrellas. Their tails also provide balance when they climb. Other animals also use their tails for balance. When a red kangaroo leaps an amazing 25 feet in one hop, its tail keeps it from falling. Male kangaroos also balance on their tails when “boxing” each other for dominance or when kicking at predators like the dingo, Australia’s wild dog. A cat’s tail provides balance when it is running or jumping. The tail also helps the cat land on its feet should it fall when climbing. The tails of some tree-dwelling animals like spider monkeys, opossums, and tamanduas (a small relative of the giant anteater) act like an extra hand, grabbing onto tree limbs or other objects. Such tails are called prehensile tails. Kinkajous (a rainforest relative of raccoons and ringtails) and some chameleons also have prehensile tails. So do sea horses. These unusual fish use their tails to anchor themselves to an object so they stay in place in the water. Birds have useful tails. In breeding season, a peacock uses its colorful train of tail feathers to attract female pea hens. A bird’s tail feathers help it steer in the air. These feathers also help the bird brake or slow down when it lands. The flying squirrel’s tail works as a steering and braking, too, when it glides from one tree to another. Tails power swimming animals like fish, whales, crocodiles, and beavers through the water. Beavers also use their tails for balance when standing on land. One special fish, the stingray, uses its tail not only for swimming, but for protection. You see, the stingray’s tail has venomous stinging spines. Another animal with a stinging tail is the scorpion. And speaking of swimming animals, crocodiles and alligators tails are important in a non-swimming activity, as well. Their tails store fat. Why would an animal want to store fat? Storing fat helps it to survive when food is limited. Other animals that store fat in their tails include the Gila monster and platypus. Animals often use their tails to communicate. Twitching, wagging, or holding the tail in a certain position all mean something, but what it means depends upon the animal. When a rattlesnake rattles its tail, it’s a warning to stay out of its territory. Some deer flash the white underside of their tails when they detect danger. This alerts other deer. Then, there’s the skunk. If it lifts its tail, watch out—it is getting ready to spray! A variety of animals have tails. Whether they are long, short, thick, thin, scaly, hairy or hairless, tails are used in many marvelous ways. Grayson learns that when he grins the whole jungle grins back at him. Deep in the lush, green rainforest lives a gorilla named Grayson. He booms and swings through the landscape. Grayson tries to be nice to the other jungle creatures, but they run away from him. He doesn’t understand why no one talks to him. By accident, Grayson sees his reflection and discovers he looks frightening with his “large fuzzy brow, and downturned lips…” Luckily, Grayson meets Leopard who gives him advice on how to look friendly. Wold’s lively writing makes the story of Grayson entertaining. 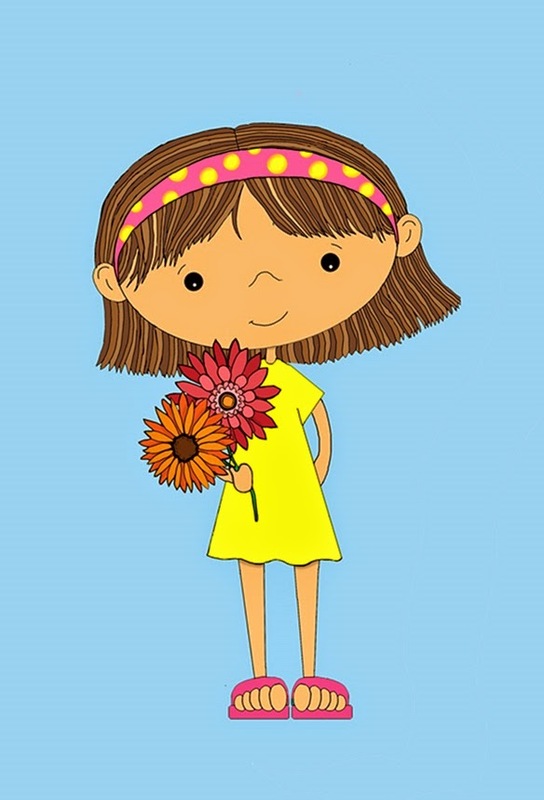 The message is sweet: Wold lets the reader know that a simple gesture like smiling can bring you joy. The rainforest setting with Frog, Boa, Monkey, Chameleon, Parrot, and Gecko is a refreshing change from the common animals seen in children’s literature and the illustrations are beautifully done in rich greens, browns, and grays. 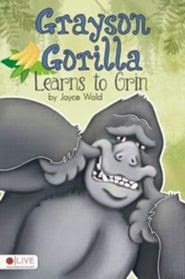 Grayson Gorilla Learns to Grin is actually two books. The first one is the fictionalized story about Grayson learning to smile and the second one is a non-fiction, educational account about the eating habits, habitat, and behavior of gorillas. The reader is informed that Grayson is a Silverback gorilla found in the tropical rainforests of central Africa. In addition, the book includes a free audio digital download. Wold is also the author of God’s Creations, which has been translated into Braille for blind children. She is a graduate of the Institute of Children’s Literature. Egypt is located in the northeastern corner of Africa. Five thousand years ago, it was home to one of the most important ancient civilizations. The Egyptians are usually remembered for building pyramids and for creating mummification. Mummification was used to preserve the dead by wrapping bodies in linen cloth. The Egyptians also invented pens, ink, and books. Books were known as scrolls. Scrolls were made by rolling up sheets of papyrus. Papyrus is a plant that grew in the delta of the Nile River. The papyrus was sliced into thin strips, laid side by side, and beaten into sheets. The juices of the papyrus bonded the sheets together. The Egyptians used a system of communication called hieroglyphics. It was made up of a variety of symbols. These symbols were written in ink on the sheets of papyrus. Black ink was made with soot and papyrus juice. 2. Cut out a rectangular shape about 2” x 6” from black construction paper. 3. Write a name vertically with a gold marker in hieroglyphics on the black rectangle. 4. Enclose the hieroglyphic word in a cartouche. A cartouche is an oval border that surrounds a hieroglyphic word. 5. Punch a hole at the top of the paper. 6. Thread several strands of yarn through the opening and tie them into a knot to make a tassel. Did you know: A pharaoh was a king of Egypt. A pharaoh's name was always written inside a cartouche.